Do you wish to store gold in a highly liquid way in ultra secure, specialist gold vaults in Ireland? We are delighted to announce that Irish, UK and international investors can for the first time store gold in professionally managed, secure, institutional grade vaults in Ireland. 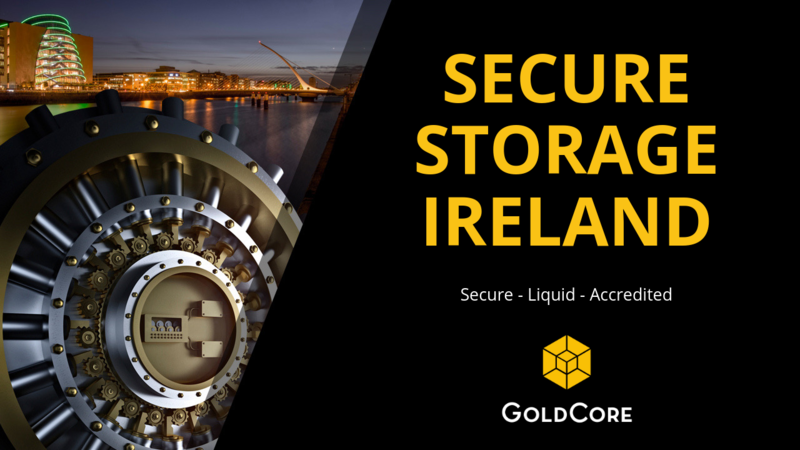 GoldCore Secure Storage Ireland, the first institutional gold storage service in Ireland, is managed by GoldCore in collaboration with Loomis International in a modern state of the art secure storage facility in Dublin, Ireland. 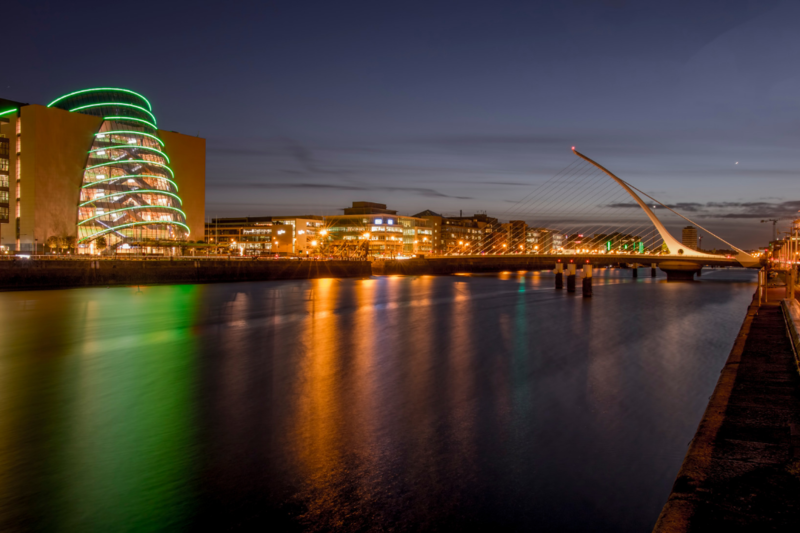 Due to significant demand and many requests to do so from both the public and clients in Ireland, the UK and internationally, we are now offering Secure Storage in Dublin, Ireland. GoldCore considered operating our own vaults or opting for the safety deposit box option but there were unappreciated risks to clients and more importantly a lack of liquidity for investors who could not easily, quickly and competitively liquidate their gold holdings. Our new institutional gold storage offering is for retail, HNW, family office, pension, broker and institutional investors. We believe it will be of interest not just to Irish and UK investors but also to U.S. investors, particularly Irish Americans, and indeed international investors looking for a secure location to store their gold internationally. Diversify your gold holdings. Brexit and other financial and geopolitical risks make asset diversification and owning assets in different jurisdictions more important than ever. As geopolitical risks including trade wars deepen and Brexit looms, GoldCore are now enabling Irish, UK and international investors to invest in and own gold stored in fully insured, specialist gold vaults in Dublin, Ireland. Ireland's most established gold broker: GoldCore, which was established in Dublin in 2003 and is now a global gold storage specialist, has long offered storage in some of the safest vaults, in the safer jurisdictions in the world. Institutional gold storage, Ireland's first, is being managed by GoldCore in collaboration with Loomis International in a modern state of the art secure storage facility in south county Dublin, with easy access to the airport. Loomis International are one of the leading valuables storage providers in the world. Loomis provide secure transportation, management and storage of precious metals and are a member of the London Bullion Market Association (LBMA) whose membership is comprised of government mints, refiners, gold bullion dealers and major international banks. Two trusted names in precious metals: “We are excited to collaborate with GoldCore on Secure Storage Ireland. We have worked with GoldCore since 2009 and we like the way they are always being innovative and putting the client first in terms of investing in gold in a secure way” said a senior representative of Loomis International. We have always stated that when owning gold to hedge systemic risk, you must not simply seek to invest in, or rather own physical gold, but rather be sure to own the right gold, in the right form, in the right place, and in the right way in order to ensure that you are protected against these worst-case scenarios. Gold is financial insurance and a hedge against risk. It is a proven safe-haven asset but only if owned in the safest of ways. Loomis International are one of the leading valuables storage providers in the world and provide secure transportation, management and storage of precious metals internationally. Loomis are a member of the London Bullion Market Association (LBMA) whose membership is comprised of government mints, refiners, bullion dealers and major international banks. LBMA member vaults ensure the chain of integrity for gold bars. GoldCore make a market in gold bars and coins fabricated and minted by LBMA approved government mints and refineries. 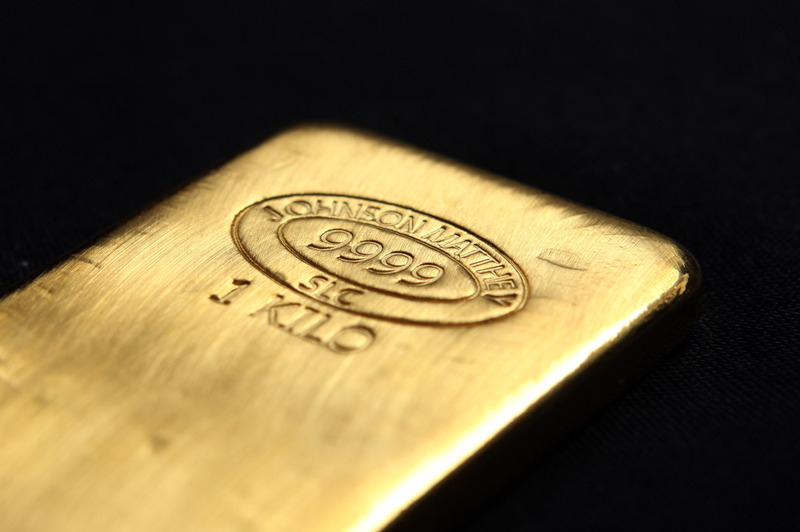 The LBMA have strict rules in terms of purity and quality of gold bars as so their members. 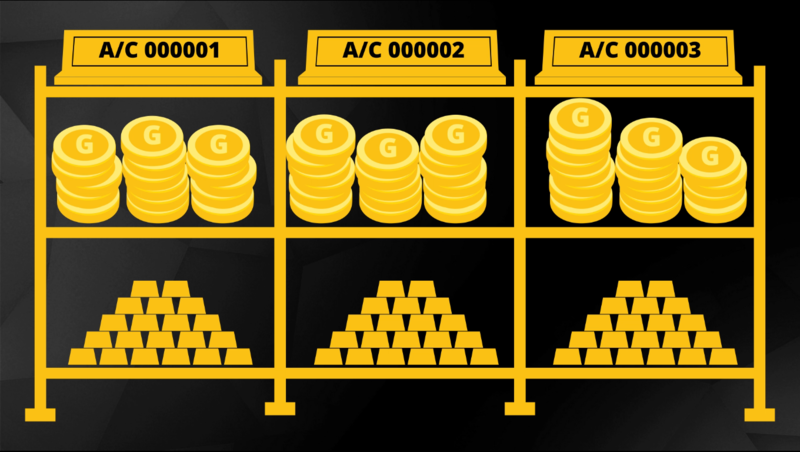 This reduces the risk of counterfeit coins and bars and helps GoldCore ensure that we deal in authentic gold coins and bars. The vaults being managed by GoldCore in conjunction with Loomis International are of the highest vault security standards - greater even than Central Bank of Ireland security requirements. The facility is a member of the Irish Security Industry Authority (ISIA) and the Private Security Authority (PSA). The latter is the statutory body with responsibility for licensing and regulating the private security industry in Ireland. The vault operators are experts in the movement of valuables such as cash and precious metals that require secure transportation internationally. They have relationships with key freight companies, airports, airlines, the Irish Justice Department and the Irish police force, An Garda Siochána. GoldCore are making a market in gold bars (1 oz and 1 kilo) and popular legal tender gold bullion coins from the Royal Mint (CGT free gold coins for UK investors), the Royal Canadian Mint, the U.S. Mint, the Perth Mint and the Austrian Mint. Liquidity is important for investors who can buy or sell their gold online or on the phone at any time. They do not have the hassle, stress and security risk of having to keep their keys safe, find their keys, take their gold out of a safe deposit box, in person take it out of the building in which their box is located, deliver it and have it verified (and potentially assayed) at specialist bullion vaults before being able to sell it. "I have been in the precious metal business for many years. In that time I have only come across a handful of bullion providers that, for me, pass every possible measure of trust, professionalism and expertise. GoldCore is one such company, not only do I recommend them to my clients but I use them myself. I trust them with my money and my silver, that says it all." "Current trends toward financialisation and instrumentation in financial markets have resulted in increasing complexity of investments, dramatically raising risks to retail investors. In this environment, having a trusted, professional, experienced, and client-focused advisers and intermediaries, like GoldCore, is the main line of defence for investors interested in achieving wealth preservation and risk hedging objectives. GoldCore offers unparalleled quality and range of services that give ordinary investors access to physical gold in a secure way. Gold remains the key asset class in portfolio risk management for all long term investors." Over the past 15 years GoldCore has assisted Irish, UK, U.S. and international clients with the purchase and storage of allocated gold and silver bullion. In that time we have built a global network of storage, logistics and insurance partners that work with us in safeguarding the gold and silver bullion stored on behalf of our clients. 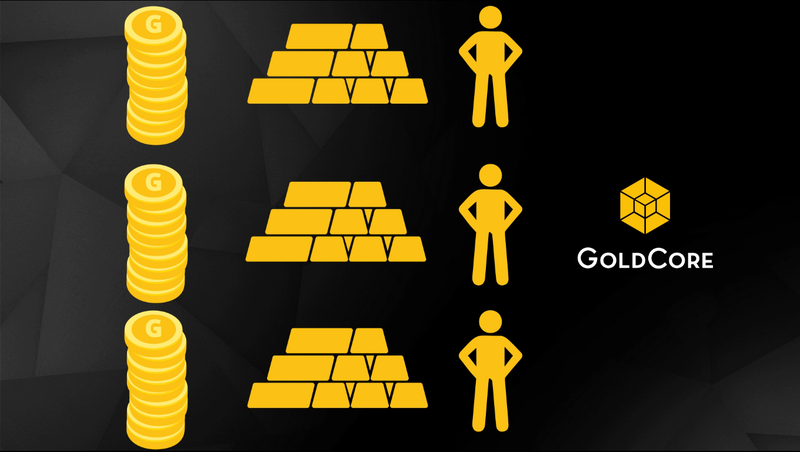 All of GoldCore’s clients stored bullion coin and bars assets are owned in an allocated and segregated manner. This means that each client has individual ownership of his or her bullion holding and each retains outright ownership of their coins and bars. Clients can take delivery at any time. Each client's holding is kept separate from all other clients, with their dedicated account number and their own dedicated space in the high security, specialist bullion vault in Dublin. "As a financial journalist I’ve been an advocate of gold (and silver) as part of a balanced wealth portfolio. Owning precious metals is insurance against the debasement and devaluation of your savings. A professional precious metals provider like GoldCore is your gatekeeper. They provide precious metal ownership in the safest ways including insured delivery and allocated and segregated coin and bar storage in some of the securest vaults, in safer jurisdictions internationally including now Dublin." We empower our clients to take delivery, move and/or sell it to third parties as they wish, giving them greater options when selling. Because you are not part of a "closed loop" pooled gold system you can access your gold and sell it to any supplier that you wish. Because your gold is individually identified and separated from other clients holding you can take delivery without incurring costs*. With GoldCore you can instruct to have your gold and silver coins and bars made available for collection whenever you wish. This is because our clients’ coins and bars, including large bars (400 ounce gold bars and 1000 ounce silver bars) are always stored separately in an allocated and segregated manner. All you have to pay for is the normal delivery costs as the gold is already fabricated in to coins or bars. "I’ve used GoldCore’s services many times to buy gold and silver and to store gold and silver. I’ve found their prices competitive and their service excellent." We store all your gold and silver bullion coins and bars in an allocated and fully segregated basis. Client's bullion coins and bars remain the possession of the client at all times. Clients’ coins and bars never reside on our balance sheet and is always client property as managed by us using a bailment. Clients can move their gold and silver bullion wherever and whenever they wish. Clients can sell their gold and silver bullion to us or any other bullion dealer, whenever they wish. Unlike gold exchange-traded funds (ETFs) GoldCore do not store client bullion with financial institutions or banks but instead solely with independent specialised bullion storage vaults. 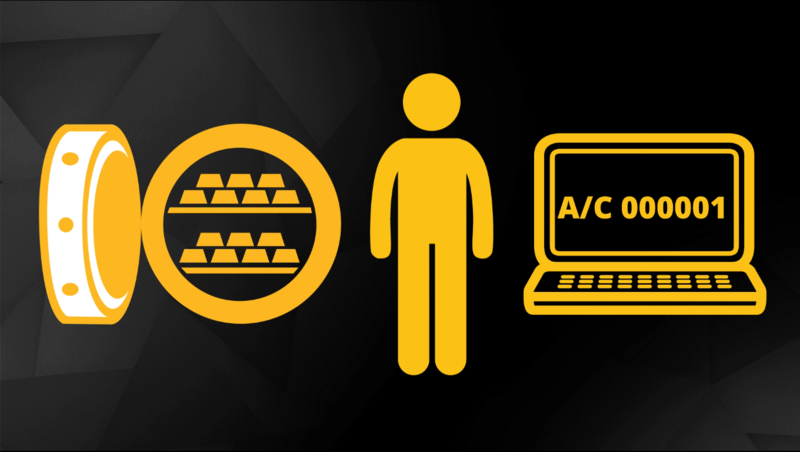 Clients can access the vaulting company’s website and inspect their bullion holdings via their systems in order to confirm GoldCore trade confirmations and statements, 24 hours a day and 7 days a week. GoldCore reconciles the vault provider’s statements of holding with our statements of holding once a week. We make sure that all our client’s assets are in place and fully accounted for in an allocated and segregated manner. GoldCore arranges for an independent third party audit firm to go into our vaults once each year and count all gold and silver bars and coins. They produce a transparent signed statement if there are any differences in the audit and any anomalies are highlighted and addressed. GoldCore send this audit report to all of our storage customers once per year. "We’ve been putting clients into gold with Goldcore for many years and helped our clients diversify into gold before the global financial crisis. Fast forward nearly a decade after it and the structural problem of excessive debt and not enough economic growth has grown, not diminished. Its why the opening of a gold vault in Dublin in partnership with LOOMIS is so well timed. It finally brings institutional grade gold vaults to Ireland and allows Irish and international investors and pension owners to invest in gold in a secure and liquid way." Since being founded in 2003, GoldCore has transacted over $1 billion dollars worth of precious metals on behalf of our clients. We have been trusted by over 16,000 private, pension and corporate clients. And we have facilitated the purchase, sale and storage of gold, silver, platinum and palladium on behalf of residents in 140 different countries. We have won awards for our precious metals research and are regular contributors to CNBC, Reuters, Bloomberg TV and other financial media. We remain at the forefront of development and technology in the precious metals industry and pride ourselves on our mission to continue to ensure that our clients own and hold gold in the safest way possible, in the safest jurisdictions in the world. These include Zurich, Singapore, Hong Kong, London, Frankfurt, Dublin and others. We believe investors should own gold in two or three jurisdictions internationally.